"For anyone who aspires to a position of national leadership, no matter the circumstances of his or her birth, this book should be mandatory reading. 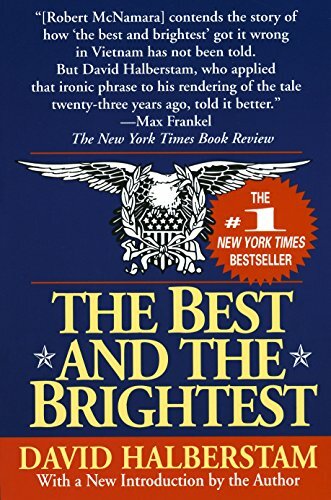 And anyone who feels a need, as a confused former prisoner of war once felt the need, for insights into how a great and good nation can lose a war and see its worthy purposes and principles destroyed by self-delusion can do no better than to read and reread David Halberstam's The Best and the Brightest." "The most comprehensive saga of how America became involved in Vietnam. . . . [I]t is also The Iliad of the American empire and The Odyssey of this nation's search for its idealistic soul." "Seductively readable. . . . [I]t is a staggeringly ambitious undertaking that is fully matched by Halberstam's perfor-mance." "A rich, entertaining, and profound reading experience." An account of American power and politics in the 1950s and 1960s highlights the political and military figures who shaped domestic and foreign policy and who orchestrated America's involvement in Vietnam. Reissue.